BANGALORE, Karnataka, India — Tata Starbucks announced the opening of its largest coffee forward store in Bangalore at 38/1st, Vittal Mallya Road. 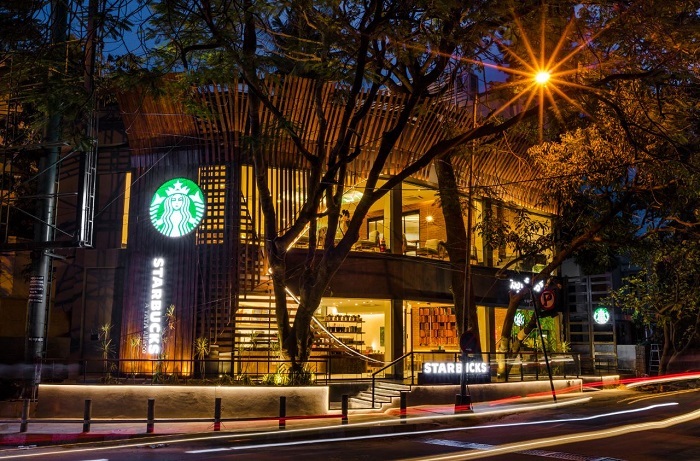 The Starbucks store at Vittal Mallya Road will welcome its customers with a promise of delivering the iconic ‘Third Place’ experience while stewarding the company’s commitment to the community. The Vittal Mallya store marks Starbucks 140th store in India and 22nd store in Bangalore. “We are pleased to introduce our customers in Bangalore to a unique sensorial coffee experience while showcasing our expertise, craft and passion for all things coffee. The Starbucks store at Vittal Mallya celebrates every aspect of the coffee journey – the bean, grind, brewing styles, and the skills of our Coffee Masters. The store’s design and curated offerings reflect Starbucks legacy of coffee leadership,” said Mr. Navin Gurnaney, CEO, Tata Starbucks Pvt Ltd. The store features two separate bars – an espresso bar and a separate brew bar. At the heart of the espresso bar lies the state-of-the-art Black Eagle which allows the skill of the Starbucks baristas to come alive as each partner manually creates a customized and perfect shot of espresso. The Brew Bar offers customers a range of other brewing techniques. For example, the Siphon, which is known to bring out the intense flavours of the coffee, uses halogen to boil water and move the coffee through the vertical chambers, whereas the Chemex®, a manual pour-over brewing method, pours into a perfectly balanced cup of coffee.